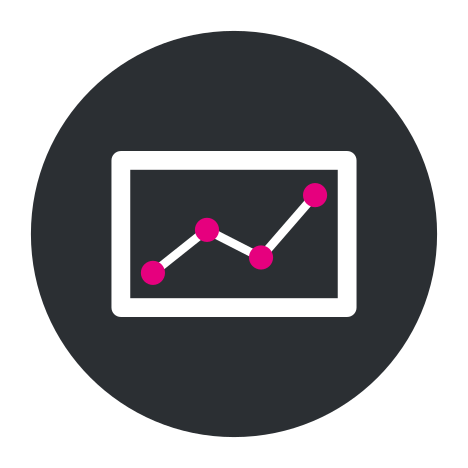 We are experienced in building bespoke dashboards for clients using various dashboard creation tools. Our solutions have ranged from entire dashboard libraries to compact single sheet dashboards. The main aim of a data dashboard is to convey key insights in a way which is both engaging and informative, with user experience our top priority. 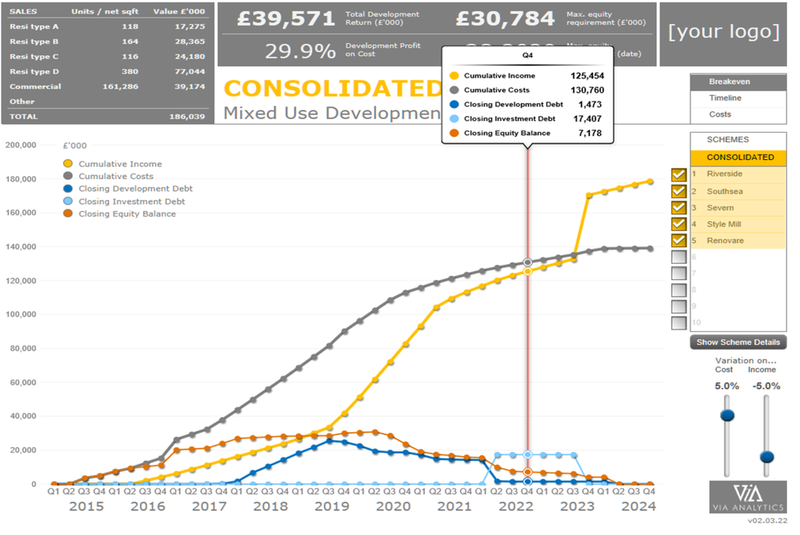 Dashboards typically develop iteratively as end users begin to grasp the potential for transforming pages of report tables into accessible, elucidative and interactive graphics. We have put together a selection of interactive example dashboards to give an idea of the dashboards we create and the software solutions we use. The Statistical Data Return (SDR) dashboard, created in Microsoft Power BI, uses data published annually by the Regulator of Social Housing (RSH). It allows the user to explore a variety of information about social housing providers in England, such as stock size, property types, location and rents. This proof of concept Healthcare Performance dashboard was created using Power BI to demonstrate KPI and financial reporting. The dashboard allows users to explore the performance trends of the In-Patient Unit, view detailed breakdowns of income and expenditure streams and predict future profit and loss. This R Shiny dashboard showcases our bespoke alerts system developed for income officers within social housing groups. Officer performance for a range of key metrics is tracked over time and alerts are generated using statistical process control when any of five "rules" are broken. This exploratory dashboard provides a detailed breakdown of sales pattern trends and the typical seasonality effects. Variations can be examined at various different levels, including: quarterly, month of quarter, month of year, day in month and day of week, allowing users to gain comprehensive insights on sales patterns. Built in collaboration with our partner company, Via Analytics, the Mixed Use Development Dashboard allows property developers to adjust assumptions related to new schemes in order to calculate the total potential returns as well as the maximum equity requirements, known as Scenario Modelling. The Housing Performance Dashboard is a proof-of-concept created using Power BI to demonstrate KPI reporting and income management. This dashboard allows users to explore the current and former arrears trends in comparison with a target and sector-wide benchmark, and also the percentage of rent collected.